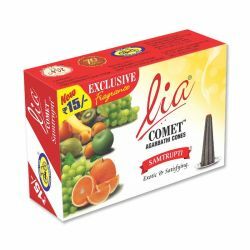 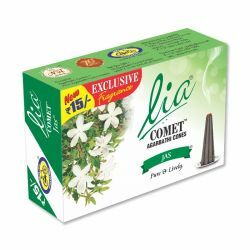 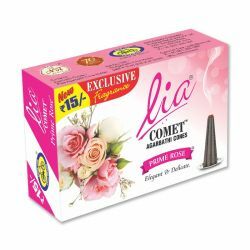 Revive the vibes around you with the classy and majestic Lia Chandanam Comet Agarbathi Cones. 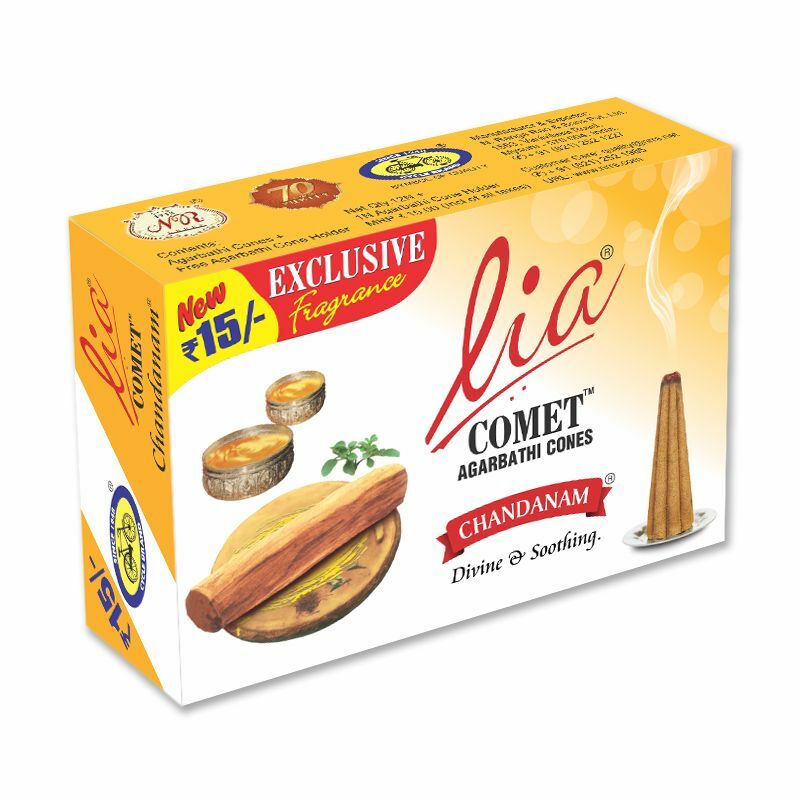 These incense cones carry the classic fragrance of sandalwood with a modern twist that instils a warm, lingering and harmonizing tone with its sweet, woody, warm and rich fragrance. 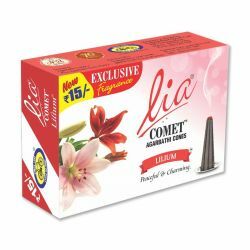 Use of the divine fragrance of Sandalwood is known since time immemorial. 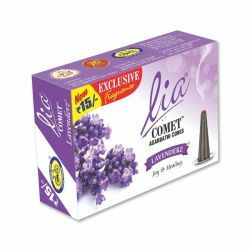 The most sought-after fragrance used for both divine purpose and to create a pleasant ambience.